It’s all about making the time to enjoy the little things in life – Stop & smell the roses! This set is the perfect gift for someone special, or a little treat for yourself. It features a Pure Rose Damascena fragrance 15mL. The rose is a gentle & classic fragrance which represents love. 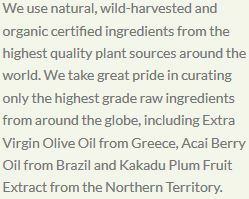 Comes packaged in a beautiful reusable natural cotton bag. Together with our skincare essentials; the multipurpose Olive Skin Serum & Soothing Facial Mist, will calm the skin and provide deep hydration, leaving your skin feeling radiant and revitalised. 1. 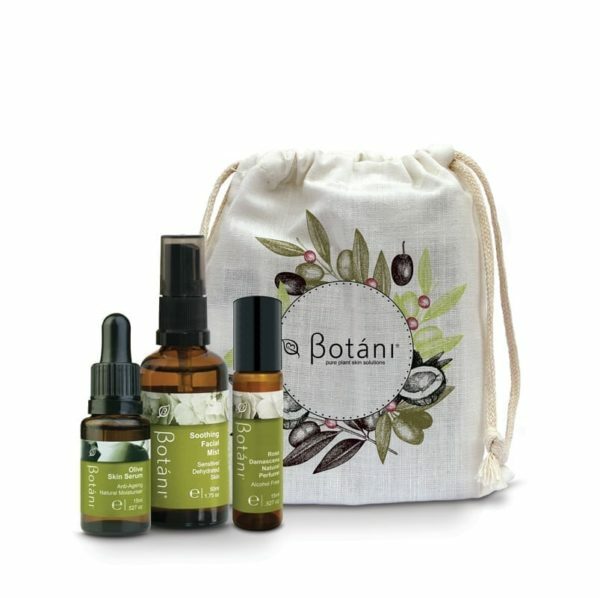 Botáni’s Olive Skin Serum 15mL, is a high performing skin hydrator, anti-oxidant and scar treatment. 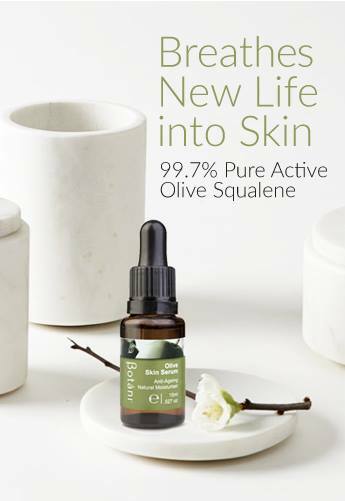 Containing 100% phyto-active Olive Squalene. 2. 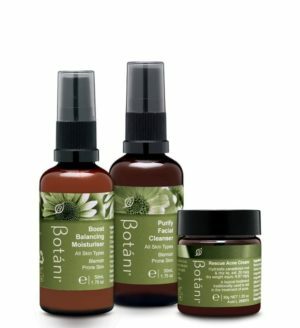 Botáni’s Soothing Facial Mist 50mL, is an alcohol-free toning mist that is suitable for all skin types and is ideal for calming sensitive skin. 3. Botáni’s Pure Rose Damascena Fragrance 15mL, is a limited edition plant based, natural fragrance that is made with pure unrefined Rose Damascena oil, that’s blended with love especially for you.